It's sunny today: let's go to the seaside. 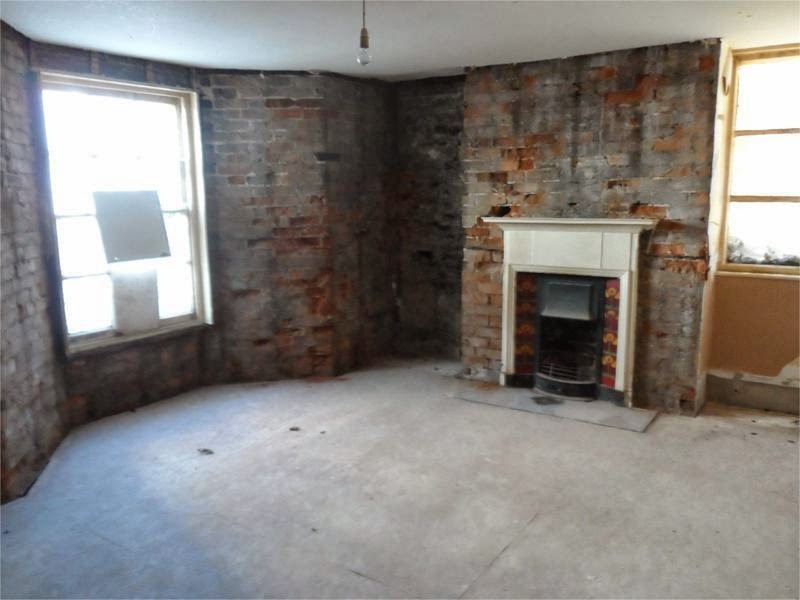 If you get a bit squeamish at the site of plaster-less walls, you should hide behind a cushion until I tell you it's safe to look again, because this stately detached in Ramsgate has walls as bare as they can get. 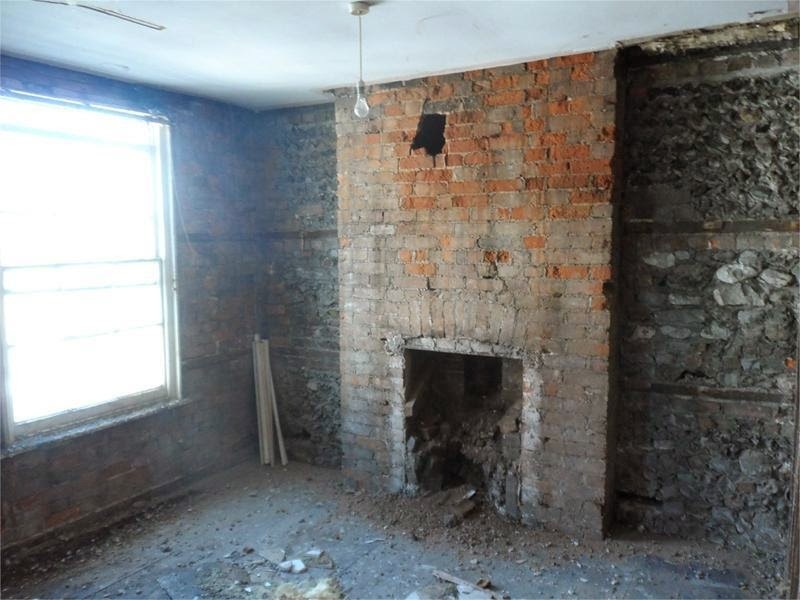 Now, if you're me, you'll have looked at those pictures and seen space and light and some damn fine fireplaces and thought: "Hey, at least I can see whether the bricks are damp." 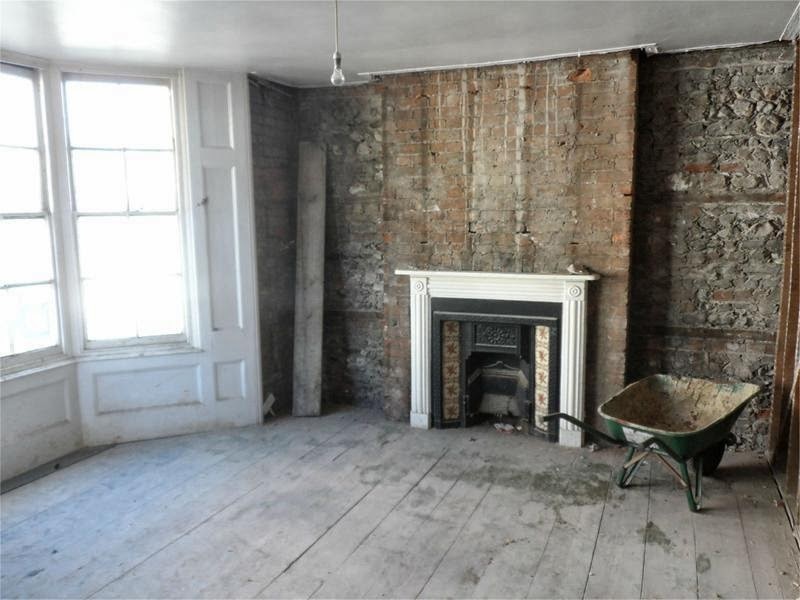 Personally, I'm still seeing space and grand windows and a really interesting renovation job. 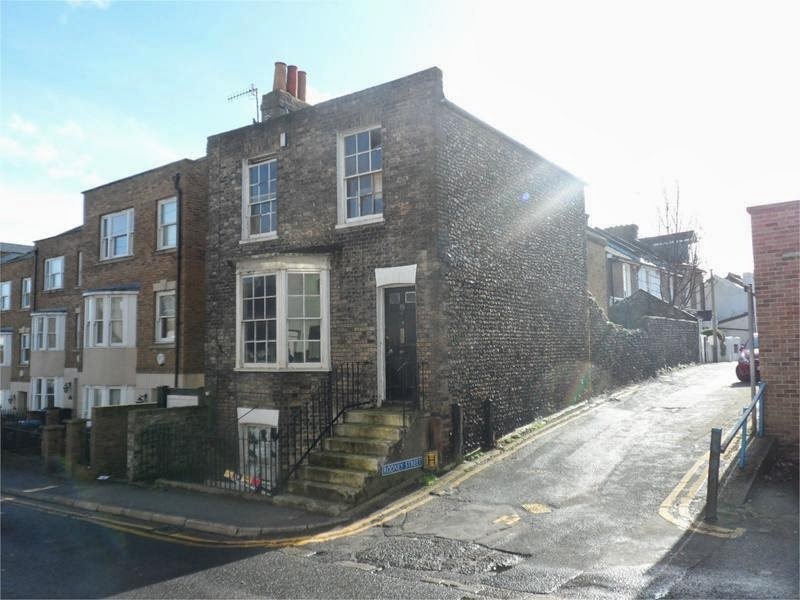 It's on West Cliff Road, around 800 yards from Ramsgate's buzzing Royal Harbour. The house steps up and down a bit inside but basically downstairs are three big rooms, hall, and former loo, with three bedrooms (one squidgy) and former bathroom upstairs. At the back is a 25-ft garden area but parking may be an issue - double yellows front and side. 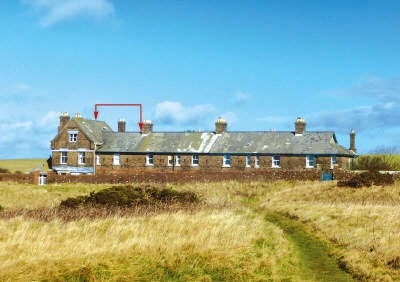 It's on the market through Miles and Barr at a fiver under £180k. Details here. Ok, it's safe to look again now. I've no idea what the walls are like inside cottage number 6, above, on Dorset's spectacular White Nothe headland looking out to sea over Weymouth Bay. But I can tell you that there no mains services. At all. Rainwater is harvested and pumped in, heating and cooking is by LPG and log burner, there's a septic tank for sewerage and the nearest parking is the National Trust carpark, one-and-a-half miles away. Built in approximately 1902 to keep watch on the local smugglers. 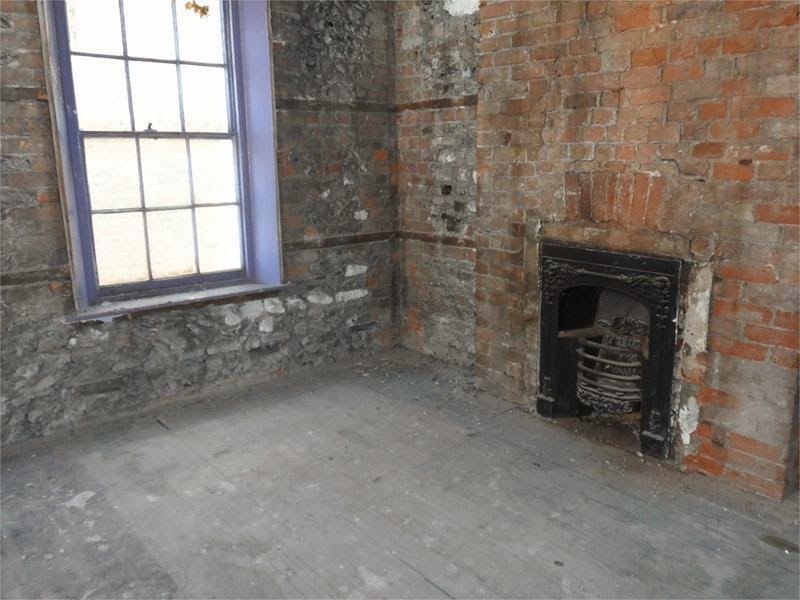 The sea facing bedroom has a small raised recess with room for a stool on which to sit and survey the coast. That view, a wooden stool, today's sunshine - oh my! 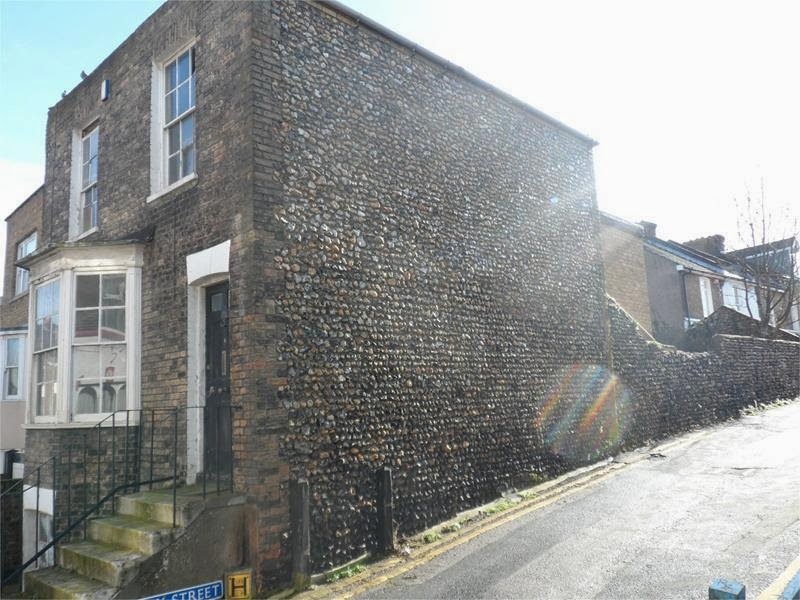 Reader Nici tipped me off about it and the two-bed cottage is up for auction today, through Savills, with a guide price of £95k. Lot 101 on this list.